Bob Zany will be at the Tower Theatre on Friday, Nov 15 as part of the Bob & Tom Comedy Tour. You’ve heard him on the morning radio show, now see him in person!! 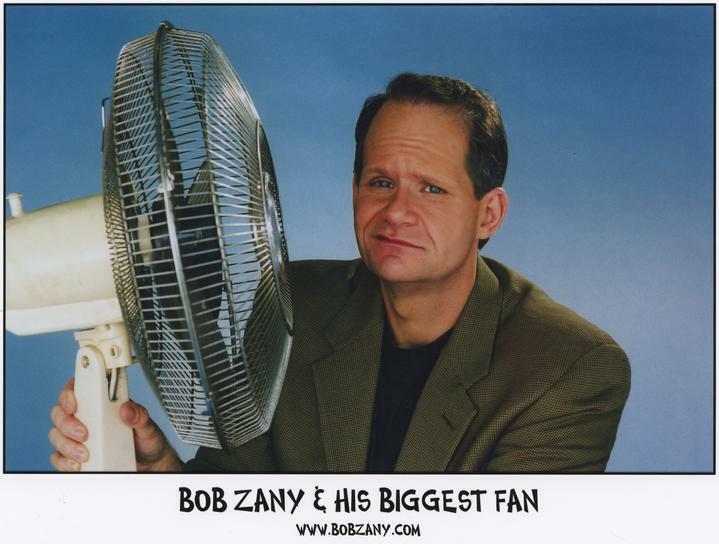 Bob Zany, seen with his “biggest fan,” is one of four comedians performing in “The Bob & Tom Comedy Show” Saturday at the Fox Theater. Joining Zany this weekend are Auggie Smith, David Dyer and Henry Phillips. Muddy Rivers, Here He Comes! Legendary, indeed! Let’s add Bob Zany to that list while he is in North Dakota this week! You can see Bob perform on Friday and Saturday (we recommend you come both nights!) at The Muddy Rivers Ballroom at the Guest House Inn. Bob Zany & Zan Aufderheide will be performing in Decatur/Mt. Zion this week at the Village Idiot Comedy Club! Must be 21 years old!!!! !